LaDonna Winters, creator of Creative Window Designs. Creative Window Designs By LaDonna is a 27-year-old Kingwood family business tucked into an elegant showroom in a small shopping enclave just north of the Good Shepherd Episcopal Church on Woodland Hills Drive. It is a special place where LaDonna Winters has been designing, fabricating and installing window treatments for the last four years. However, Winters has been in business in Kingwood working from her original home in Sand Creek Village since 1991. She offers a large variety of custom draperies, blinds, shades, plantation shutters, upholstery services and custom pillows and bedding. 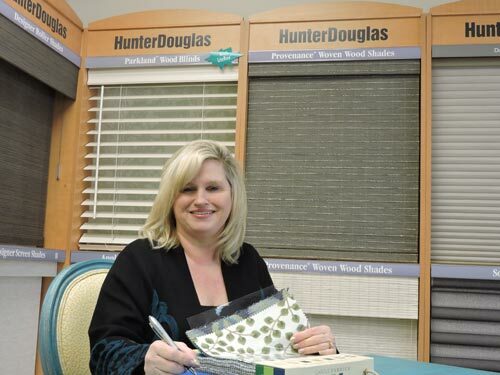 She proudly points out that she is a Hunter Douglas Priority Dealer who offers the very best in window designs. But there is more to Winters than just a successful window design business. Like so many others in Kingwood, she and her family are survivors: survivors of Hurricane Harvey. As homeowners in Barrington Village they were flooded up to the second floor of their home. Ironically, she and her husband, Rick Winters, had recently moved from their first home in Sand Creek, where they had raised their kids, to a home in Barrington. It was a move that changed everything. “We had moved into Barrington one year before the flood,” Winters said and explained the home overlooked the golf course and was a place they could really enjoy with their kids’ families when they visited. She reminisced about how she and her husband watched for days after the storm had passed as the water slowly rose on the golf course before the house finally flooded on Tuesday in the middle of the night. “I could see the water coming up the golf course,” said Winters. It seemed to be happening in slow motion and Rick, a recently retired Exxon engineer, kept estimating how close it would get before the expected crest was reached. But it just kept rising. “We were watching the water rise for a couple of days. By Sunday it continued to rise. We started taking stuff upstairs. Anything we could take upstairs, we took,” said Winters. She noted they really did not think the flooding would reach the house or be as bad as it turned out to be. “We decided to stay. By Monday night we realized it was probably coming into the house by morning,” she said. Winters explained they went upstairs to bed thinking it would not get to the house until the next morning at the rate it was rising, if it continued to rise at all. They were wrong. “Whenever they did what they did in Conroe, it just took off. It should not have been in the house at 2 in the morning,” she said. Later that morning Winters received a call from friends in Trailwood Village that boats were leaving the Methodist Church area to pick people up. Amazingly, the power in the house was still on and Rick waded outside into the yard to turn it off at the power box attached to the outside of the house to minimize the chance of fire. “That scared me. I was terrified for him to do that,” Winters said and explained that eventually the water came up 41 inches inside the house. “By the time we left, the chairs were floating on their backs. The leaving wasn’t scary. We didn’t think about what might possibly be in the water. The scariest thing was that the power did not go off and my husband waded outside to turn it off,” she said and laughed about how, when the boat arrived, they each had a load under their arms and a bag of important papers. After the rescue they stayed with friends in Trailwood for a few days until their kids in Woodspring Village, who were not flooded out, returned to their home. At that point they moved in with their daughter, Noelle Goss, her husband, Colin, and their two young children for six weeks. They then moved back into the second floor of their home to finish the reconstruction downstairs. She said they were fortunate in that they had flood insurance and are back to some semblance of normalcy. She realizes many fellow survivors still have much rebuilding and recovering to do. As far as the impact on the window design business is concerned, the flood affected business greatly at first but it is now returning to normal. “For a few months there were no new clients starting up but that worked out for me because I was busy getting my house sorted out. 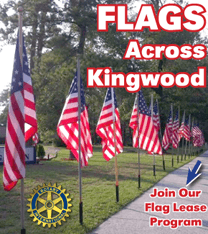 For a few months everybody in Kingwood focused on the flood and all that that requires. Once the decision-making was done I started working again and people were ready to buy,” said Winters. Last year she had a lot of clients who had been flooded and she was doing replacement work, but things are changing now. “This year, starting out I’ve seen a turn and I’d say probably 75 percent of my jobs since maybe December are non-flooded people,” she said. Winters and her husband first met in Baton Rouge, La. They moved to Kingwood when Exxon relocated him to Houston in 1989. A year later, Winters began her business. They have three grown children, all of whom were raised in Kingwood. Her oldest daughter and husband now live in the Heights in Houston. 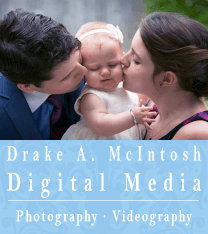 Her second daughter and her husband, with whom they lived for six weeks following Harvey, are the parents of the Winters’ two grandchildren. Winter’s youngest son is currently preparing to graduate this May from LSU. Creative Window Designs by LaDonna is a survivor and going strong. 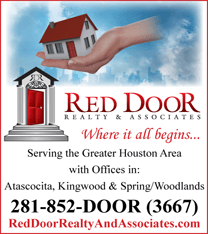 The showroom address is 3051 Woodland Hills Drive in Kingwood. 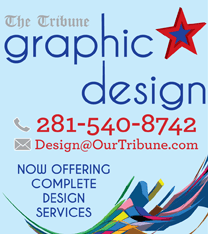 Call 281- 360-4799 for an appointment or 281-795-2342 for more information.